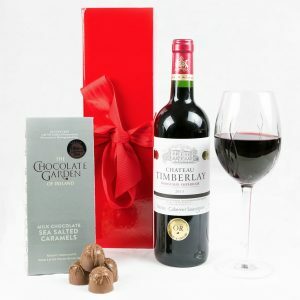 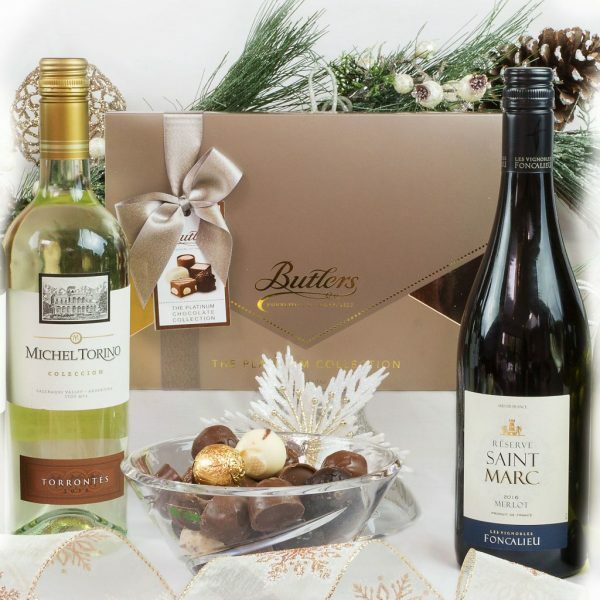 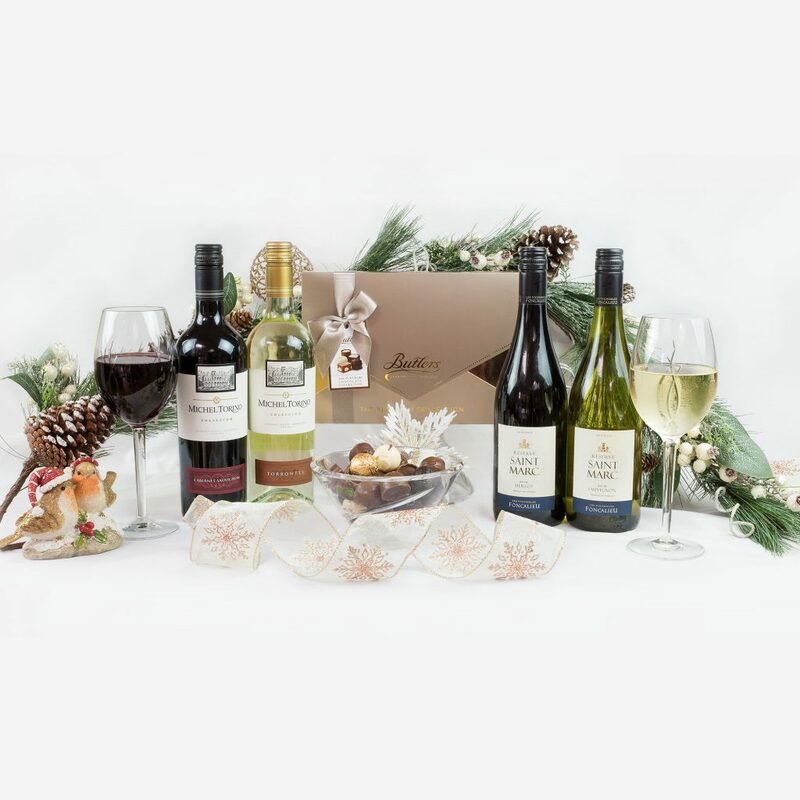 Erins Classic Four Bottle Wine Box with platinum range chocolates, this classic collection of French wines has been carefully chosen from Frances top wine regions. 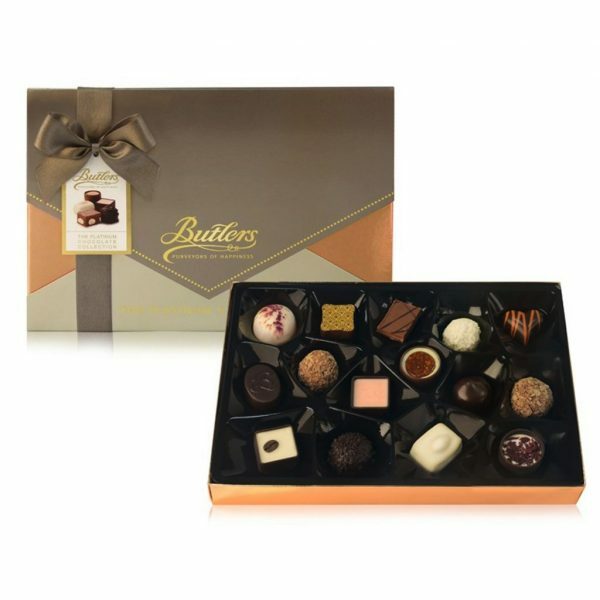 Enjoy the aromas and flavours of these classics over the holiday season accompanied by Butlers; “The Platinum Collection of Premium Chocolates”. 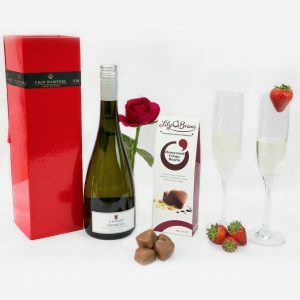 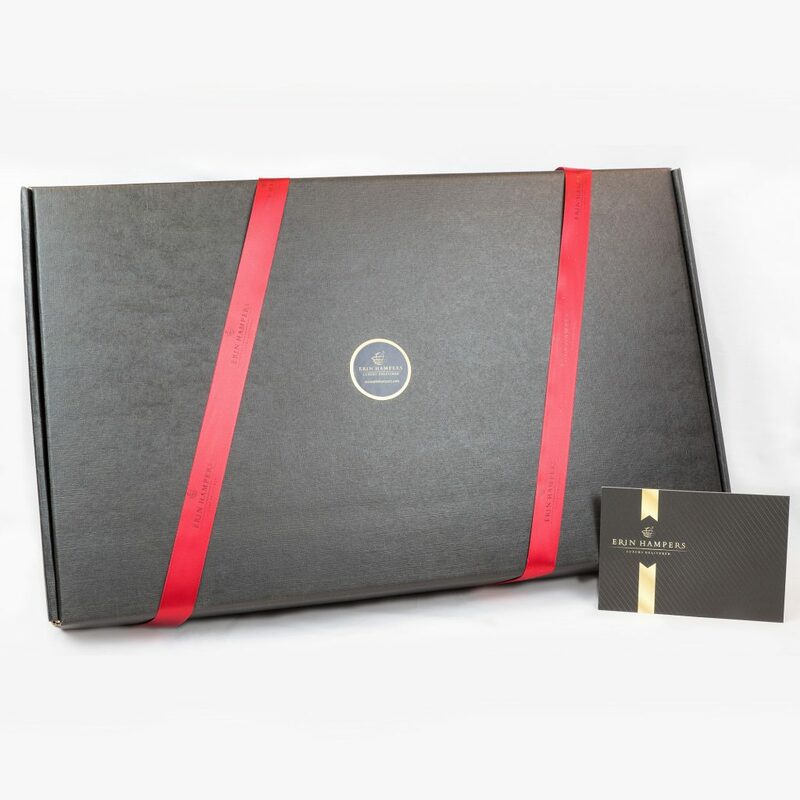 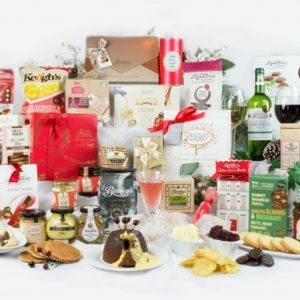 This gorgeous gift would be perfect to send for any occasion and would make for a great corporate, Christmas or birthday present.